The McAulay family loves Muskoka. Their parents, grandparents, and great grandparents did too. As a cottager, Glen fell in love with Kahshe Lake and along with his wife, Nancy – a fellow Kahshe Lake cottager – he moved to the cottage and has now raised his own family including 3 children and 8 grandchildren on the same property his Granparent’s once cottaged. Glen began building homes and cottages as a young man on Kahshe Lake over 35 years ago. His sons, Brian and Mark, soon joined him 15 years later. They too have always been passionate about Muskoka and are well known enthusiasts both on and off the lake. Now, as a team, Glen, Brian and Mark work together. Seamlessly offering their clients the best possible experience – from conception to completion. ​​Glen D. McAulay – Project Manager. Glen has been a resident of Kahshe Lake for the past 35 years. 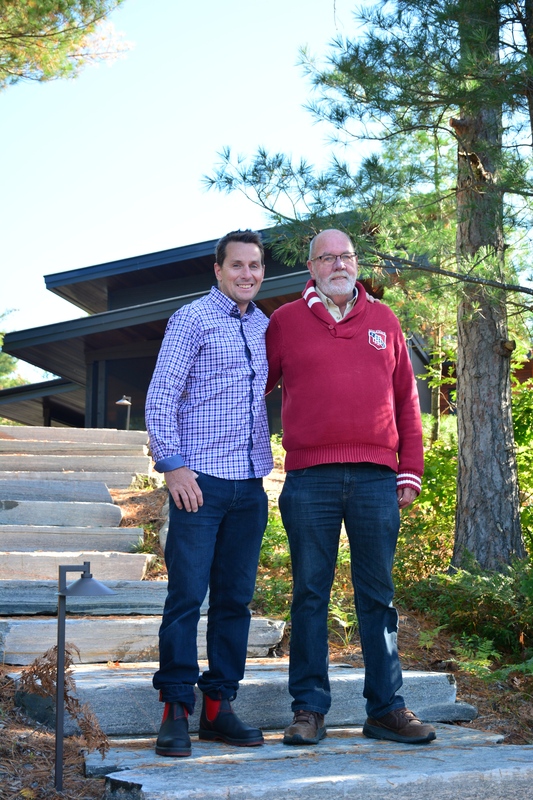 He is passionate about living in Muskoka and enabling others to realize their Muskoka dreams. He is respected in the industry and works seamlessly with a wide variety of craftsmen and other sub-trades. Brian McAulay – Project & Building Manager. Brian leads a team of skilled carpenters and effectively translates elaborate plans into gorgeous homes. Over the past 20+ years, Brian has managed hundreds of projects ranging from additions and renovations to complex custom homes and cottages. Clients appreciate Brian’s vast knowledge and attention to the finest of details. Mark is an accomplished carpenter. Like Brian, he has been working with Glen for over 15 years and has extensive experience and knowledge in the building industry. Mark is an enthusiastic Muskokan, and is well known and liked by the community, both on and off the Lake.